A few weeks ago, I went to my first proper WordCamp, in London. I went as a designer, and I wasn’t expecting to learn very much, but spoiler warning: I was wrong. In this post, I will explain why going to a WordCamp is worthwhile as a designer, why WordPress needs more designers, and how designers reading this can start applying their skills to the WordPress design right now. You may have noticed I said ‘proper WordCamp’ in the opening, because technically my first one was WordCamp NL last year, but I’m not counting that one since I only went because Yoast had a booth there. And back in 2016, I didn’t think I had much business being at a WordCamp neither. Not because I thought I knew everything, but precisely the opposite; I hardly used WordPress. I wasn’t writing content, I just used it to upload comics I had drawn. Terms like conversion rate and cornerstone content didn’t mean much to me. It all seemed very technical. And especially the thought of contributing to the core of WordPress seemed very daunting (even writing my own theme took me ages). But WCLDN17 proved that I was wrong about all these things. 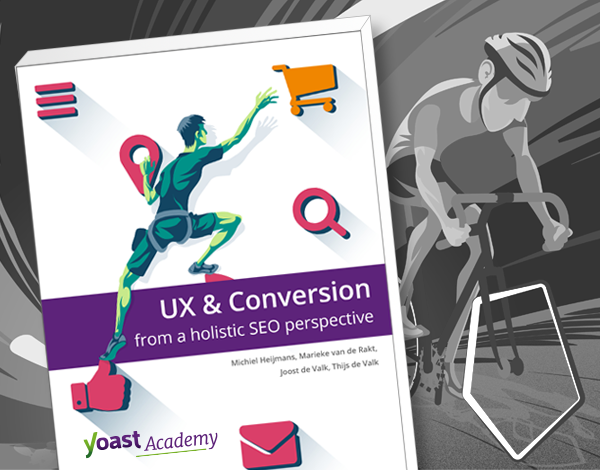 Almost a year after WCNL16, I became the UX designer at Yoast. I still didn’t know all the intricacies of WordPress, but I was using it a lot more, making sure our stuff integrated well and looked good. So maybe I could get some value out of a WordCamp this time around? I wasn’t sure yet. But off I went to WCLDN17. Looking at the schedule, there were a lot more talks about design and UX than I had expected; Crispin Read talked about the value of testing and hard data over opinions; Sarah Semark talked about how modern web design all looks the same (and why); Graham Armfield talked about how some simple design measures can make sure your site is accessible to almost everyone; and Dave Walker‘s talk was especially interesting to me, because he’s also an illustrator using WordPress. It was clear that design was coming to the forefront, and rightly so. This was all good info for me to apply at Yoast, but that I could be of value to WordPress was an unexpected discovery during Contributor Day. Contributor Day is meant to focus the attention of everyone at a Wordcamp towards improving WordPress in some way. Naturally, I sat down at the Design table, and there I met Tammie Lister. She is a UX designer at Automattic – that’s the company behind WordPress.com, Akismet, Gravatar, WooCommerce, and Simplenote (which I drafted this in!). She was easy to talk to, and very enthusiastic about design. But more importantly, she had prepared a few simple tasks for us to tackle that day. It made my entrance into the whole WordPress ecosystem pretty smooth. My chosen task was to make a mockup for the mobile image editor; Something had gone really wrong in there, lots of overlapping panels and redundant buttons. By simply designing a fix in Photoshop, I helped move this problem closer towards being solved. In doing so, I started to understand why Tammie kept wishing that more designers would start to look at WordPress itself. There are many design issues like this hanging around, waiting for a designer to solve them. Doing so may not seem like a big contribution, but WordPress is used by nearly 80 million sites – that’s almost 30% of the web. So whatever you end up doing, it’s guaranteed that at least a few people are going to be happy with it. And I can understand why designers maybe don’t flock to this calling. Getting started can seem daunting – I was a prime example of this mindset. If that’s you too, then read on, I’ve outlined three simple steps to get you started. 1. Go to a Contributor Day. This may seem like a big first step, but I promise you it’s not. You’ll get set up way faster than you would at home by yourself, there are tons of people who can help, and everyone is super nice. I would have never known where to begin if it wasn’t for Tammy’s guidance. There are tons of WordCamps all around the world, so guaranteed that there is one near you and within your budget. If not, perhaps you’re lucky like me and your company works with WordPress, get them to send you out to one! 2. Join the design channel in the WordPress Slack. I could tell you to go to make.wordpress.org/design, but to be honest that site could use a UX update itself. No, I feel like it’s better just to get in touch with the people on the frontlines of WordPress design on Slack. Slack is a chat app, and you can join the WordPress team on there by going to this page. And when you’re in, simply introduce yourself in the design channel and ask how you can help, and somebody will get you started. …show a passionate designer some of the issues on this list. Hopefully, there’s a good chance they’ll get triggered to fix these little design problems. Sometimes even just posting feedback is enough to get the ball rolling again. Together with this article, I’m sure they can take it from there. If your own projects are keeping you busy enough (and I can relate), here’s a really simple way you can still help out: for every weird design issue you encounter, just make a ticket on the site I linked above. Leave the work to others, but at least let them know what they should fix. You’re helping them out, and when they fix it they’re helping you out. Everybody’s happy. So if all this has motivated you to contribute your design expertise to WordPress: great! I hope to see you at a WordCamp or on Slack someday. Together, we can make WordPress even better, for everyone. Photo by the talented Pradeep Singh.